Summer is in full swing around here and that means lots of fun summer time get-togethers! And what do you need when people get together? Yummy food of course! This is one of my favorite dishes to make for parties. It's super easy and delicious! Sometimes I just make it as a snack for myself and the girls. 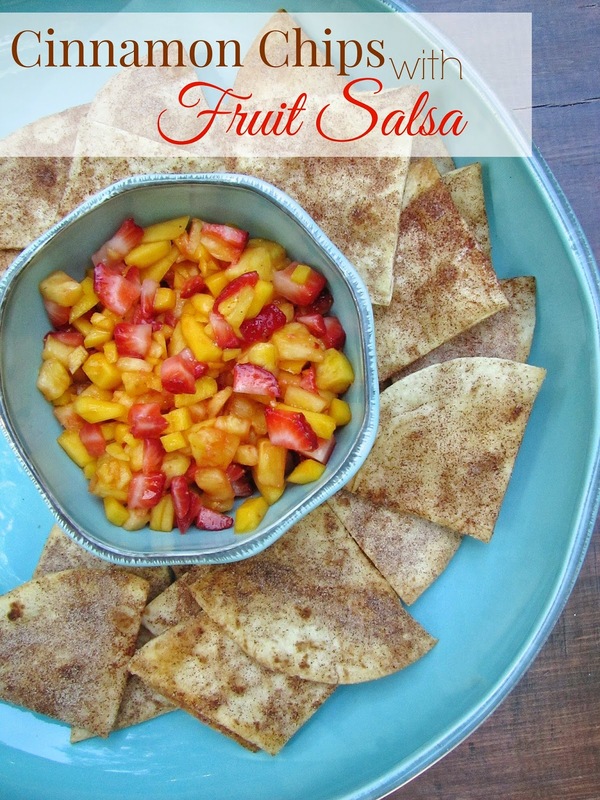 It's really very versatile as you can make the salsa with any fruit you want. Any finely chopped fruit combination of your choice. My favorites are strawberries, mango's, pineapple and blueberries. Chop up the fruit into small pieces and mix it together in a bowl. Then add a little honey to taste. I don't have a measurement I just drizzle a little on the top and mix it around. Taste test of course until you like the flavor. It's best if it sits a little while before serving because that gives it a chance for all of the flavors combine. I usually make it an hour or so beforehand and store it covered in the fridge until I'm ready. *You could also use the cinnamon/sugar mixture from the spice section at your grocery store and save yourself a step. Preheat your oven to 350 degrees. Coat each of the tortillas front and back with coconut oil. You can buy it in the spray form or if you don't have that just melt a little in a bowl in the microwave and brush it on with a pastry brush. Using a pizza cutter cut your tortillas into triangles. Mix the cinnamon and sugar together and sprinkle it on the chips front and back. Place on ungreased baking sheets and bake for 5-10 minutes or just until crisp. Serve with fruit salsa. 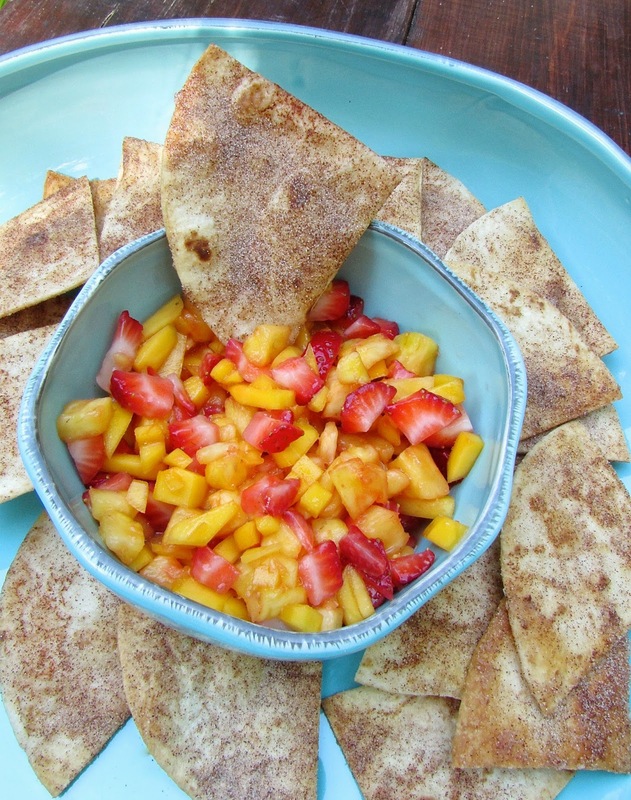 If you're in a rush Stacy's cinnamon sugar pita chips will do the trick also! This dish is always a big hit at showers and parties! Delish!